This module will help you to master PC troubleshooting and PC maintenance skill by identify problem, signs and symptoms of various devices and to successfully restore it to its full working condition. 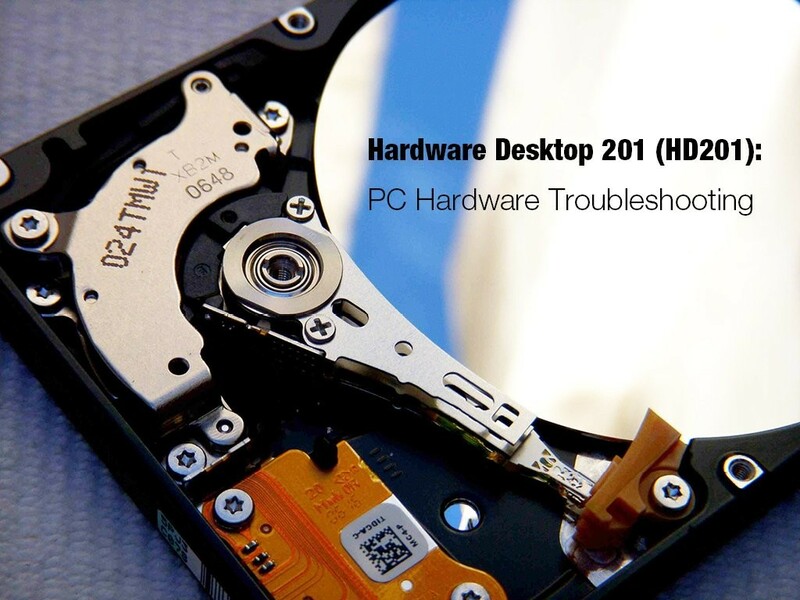 Able to understand and identify the various hardware problems and troubleshoot with experienced guide and restore the PC to its full working condition. Able to go through PC repairing standard of procedure by dealing with customers, write standard service report. Understand, identify and successfully troubleshoot a PC and restore to its full working condition.